A person can go to Colorado City from Midland on Interstate 20, and it takes about 90 minutes. Or, a daytripper can take a much more scenic and historic route and feel free to pull of the road just about anywhere to admire things of interest. The first part of this photoessay was photographed on a private ranch near Colorado City to record some aspects of modern ranch life. 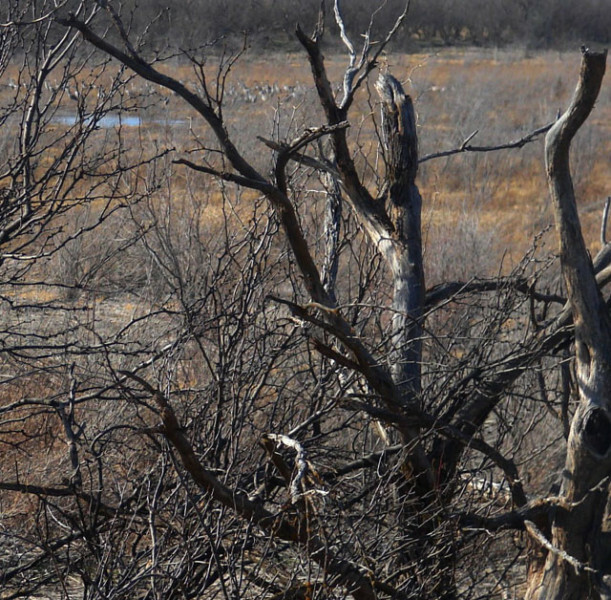 An old farm field just west of the Colorado River near Colorado City has returned to grass land. 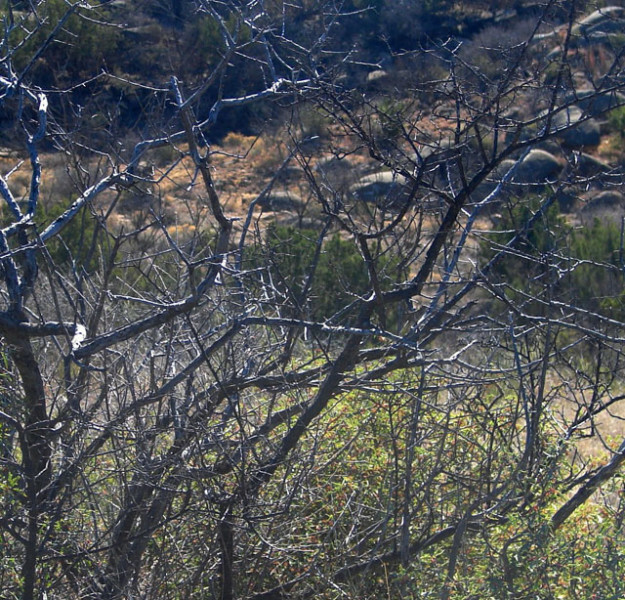 The mesquite on the right is at the edge of the "breaks" leading down to the river. 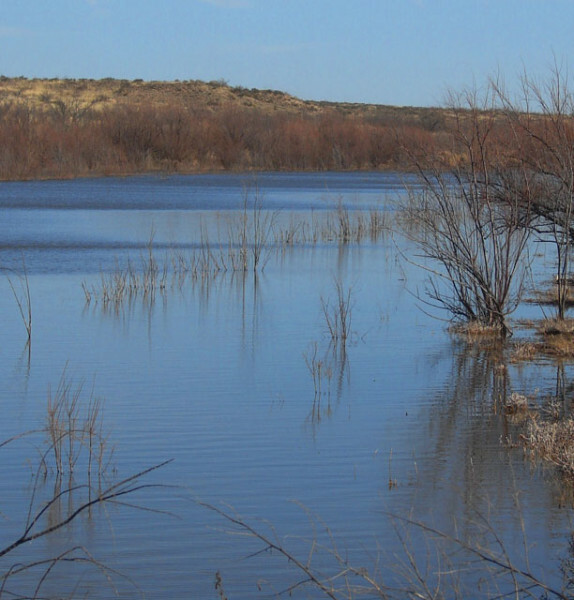 The Colorado River Municipal Water District constructs small lakes on private property to desalinate the river. When the river is in flood stage, the salts along the river go into suspension and are carried downstream, so the floodwater is diverted into the lake and allowed to settle. This reservoir was constructed in 1969. Steep draws lead down to the river from the surrounding uplands. 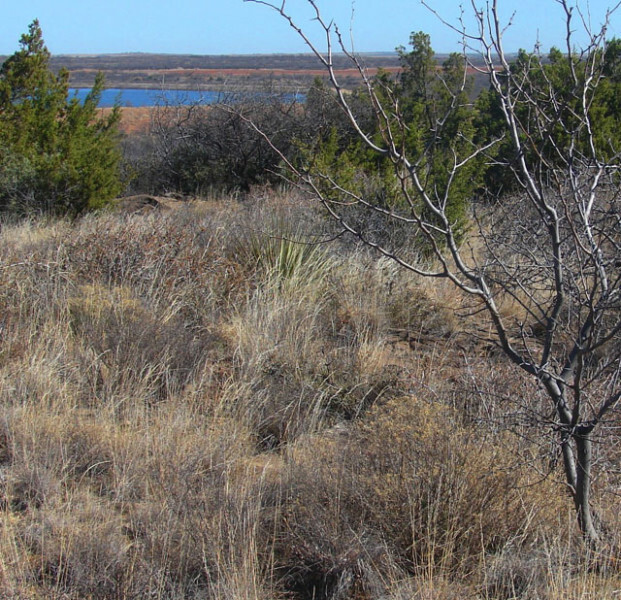 Juniper, hackberry, acacia, dalea, agarita and other plants of the breaks predominate. 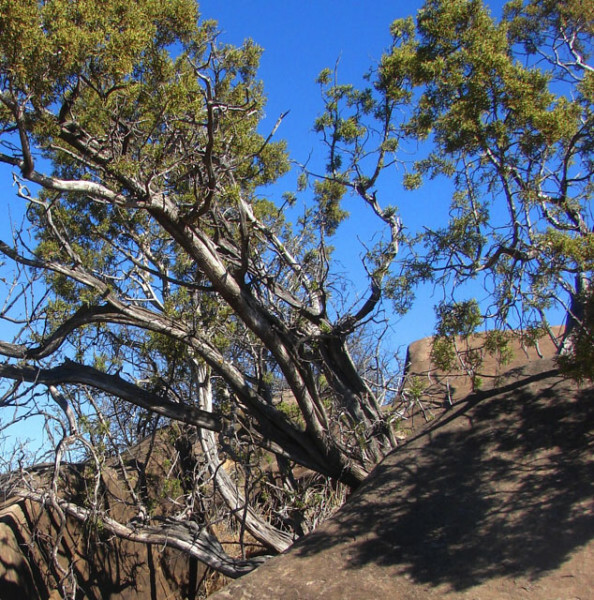 The tough junipers (cedars) can grow out of cracks in the rocks of the breaks. 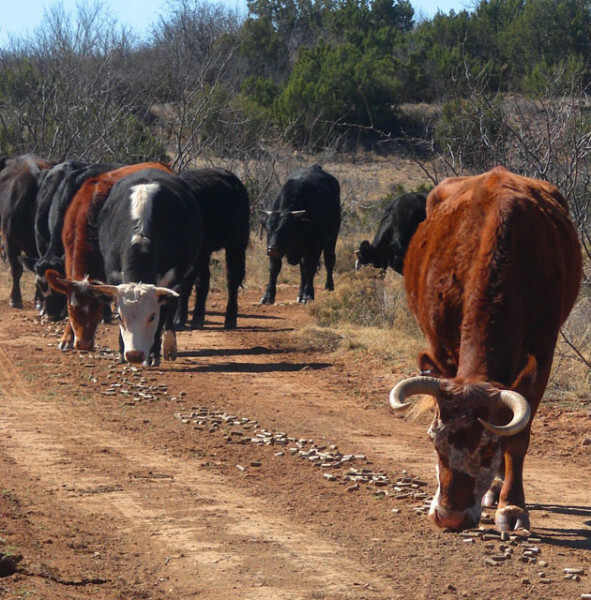 Many ranchers "tame" their cows to come to a pickup for ease of rounding them up to work with them. When the cows hear a truck, they know supplemental feed might be offered - here it is cottonseed cake pellets. 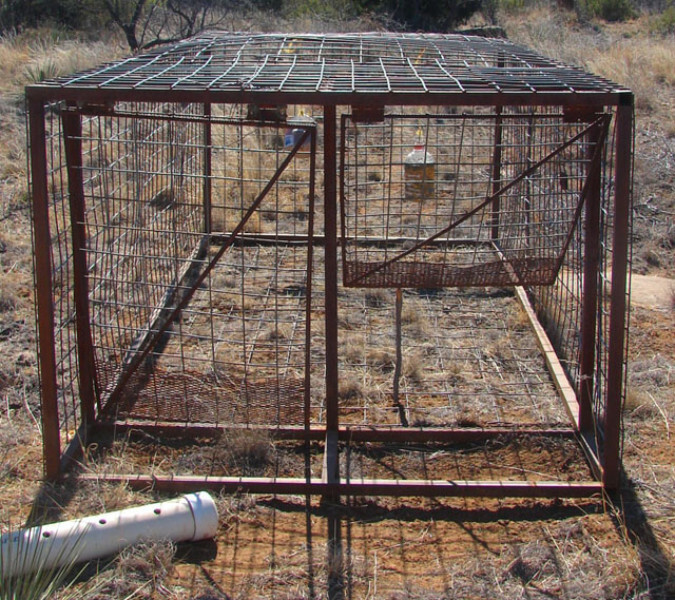 Hogs have become a major problem in the West Texas landscape. Traps are an efficient way to trap them, and easy to make. The white PVC pipe is not trash - it is a deer and hog feeder. 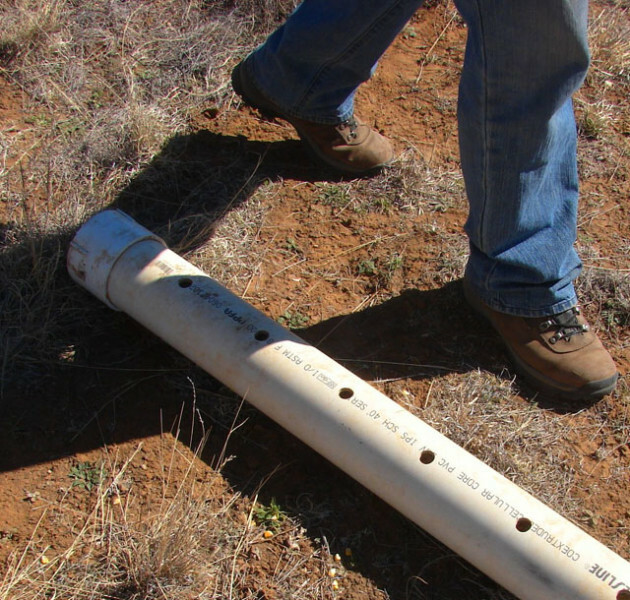 Deer and hogs will roll the PVC pipe and deer corn trickles out of the holes. This habituates the hogs to the hog trap nearby, so they will be comfortable with it and enter it easily. 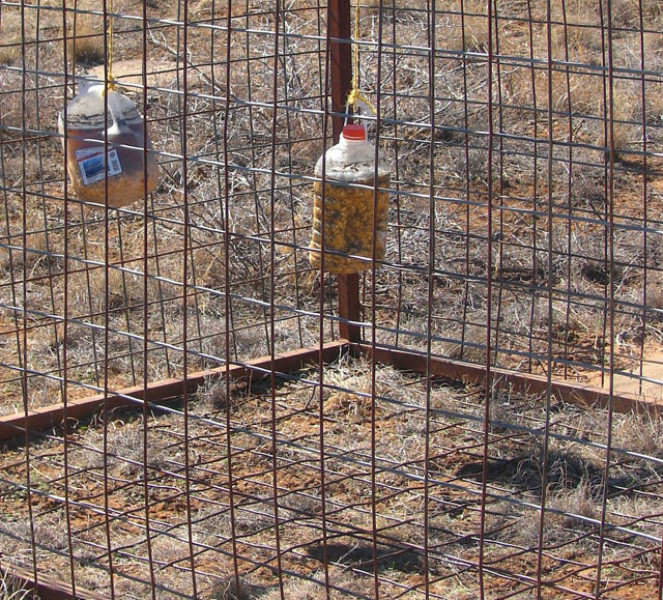 Hanging in the hog trap are bottles of sourmash (fermented corn and water.) It stinks and attracts the hogs. 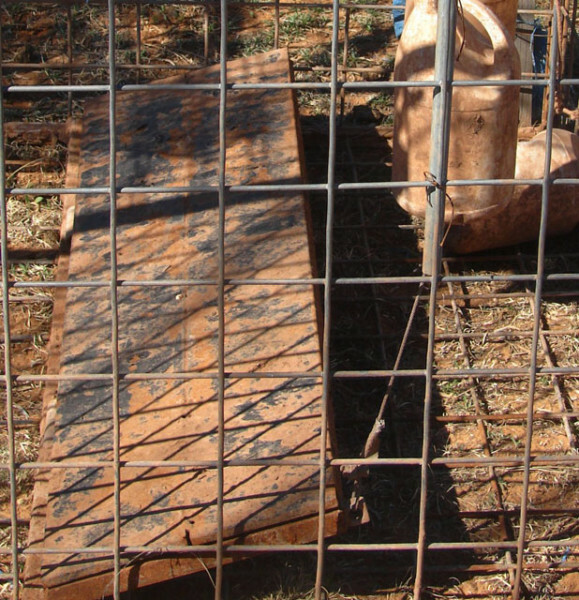 A drop plate, when stepped on by a hog, will drop the gate to the trap behind them. 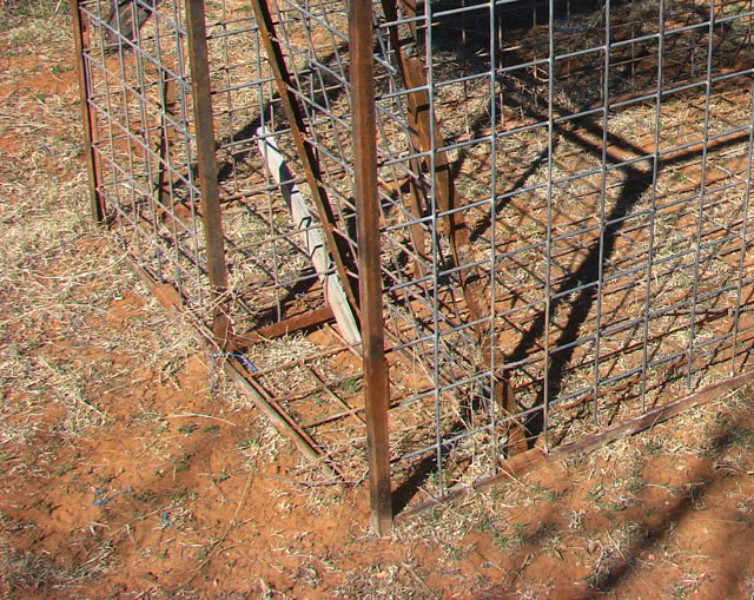 A hog trap also has a "rooting gate" that will rise up if a hog leans against it, but then close behind them when they are in. 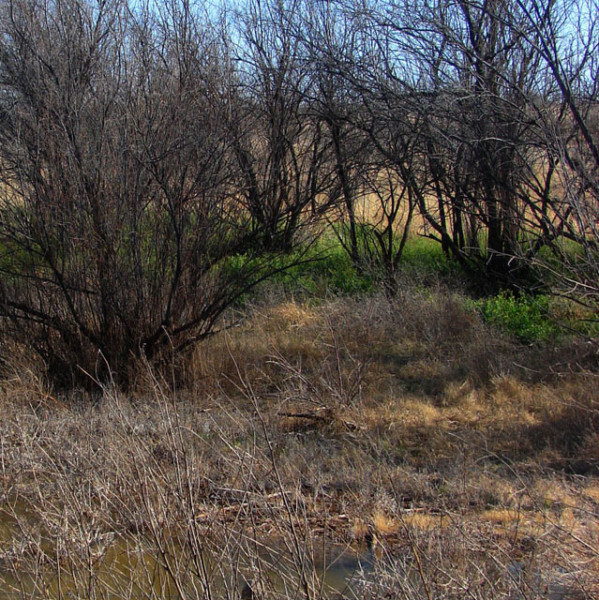 The landowner likes to have picnics at the saltwater diversion lake, but wanted some shade. 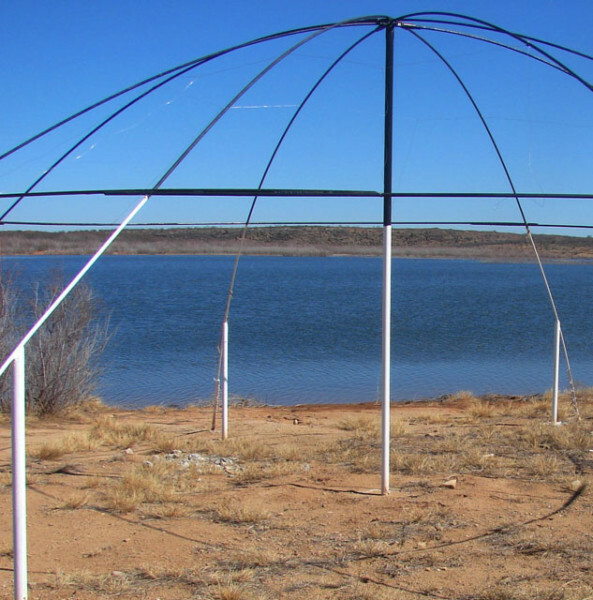 Taking a cue from the Apache Indian wickiup, he designed a modern wickiup frame out of PVC and oilfield sucker rod. When he comes to picnic, he pulls a large plastic tarp over the top. Downstream from the ranch explored in the previous photos, another landowner raises goats. 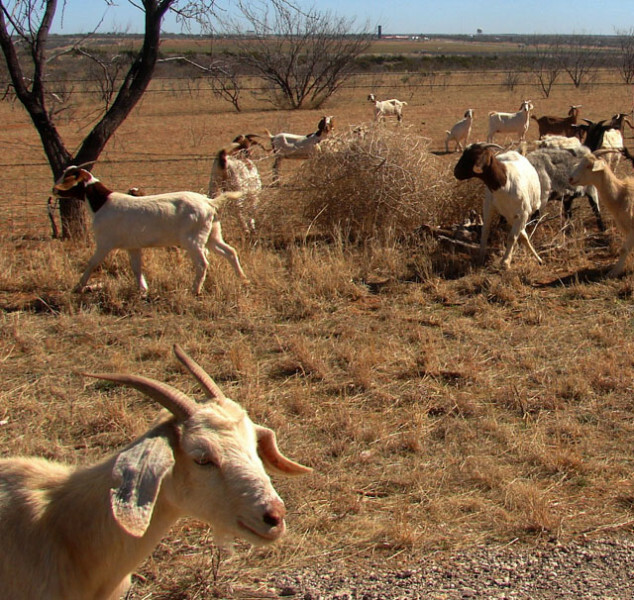 Goats are smart, so this group had found a way through the fence so they could graze along the county road. The water tower of Colorado City is in the distance. 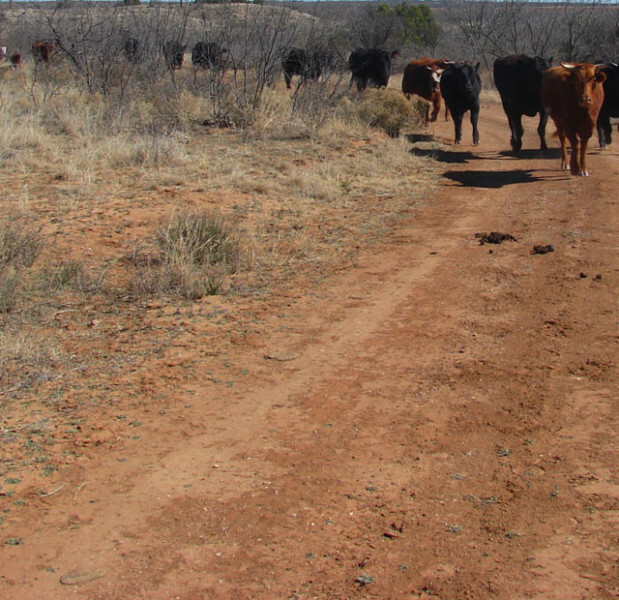 Southwest of Colorado City is Farm Road 2183 which leads west to Forsan (south of Big Spring.) Along the way is the old Hyman Church. Farmers in the area organized a school district in 1923, and by 1930 80 students attended. A post office was established in 1924. A church was built, and two businesses opened. In 1945 the school district was divided by the Forsan, Westbrook, and Colorado City districts and the school closed. In 1947 the post office closed. 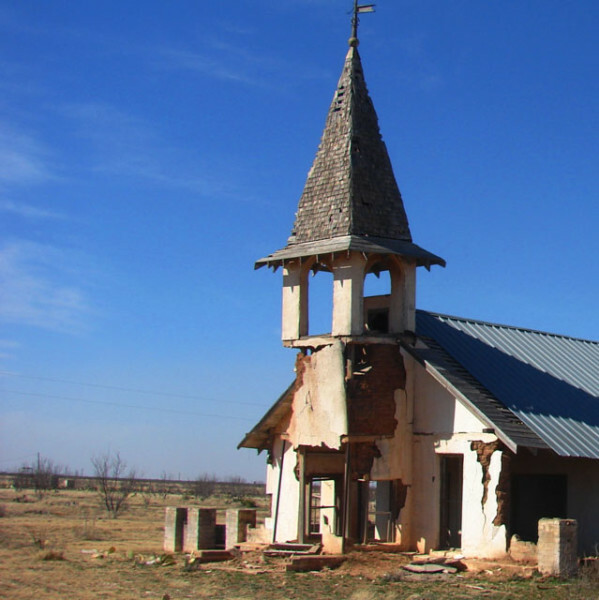 Now the farms are all gone, and all that is left is the church ruins. A few miles further west is the Otis Chalk oilfield, named after the landowner where the discovery was made. A boomtown formed in 1926. A post office was established in 1937 for the fifty people living there. 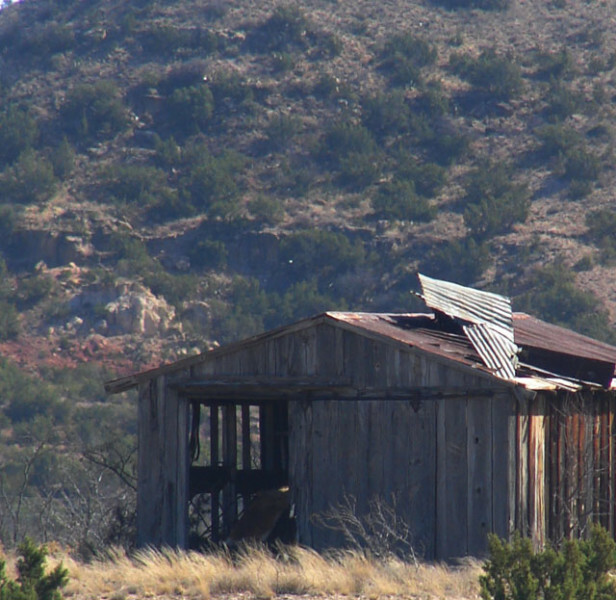 Although the Handbook of Texas Online claims 79 people lived there in 1990, not a residence can be seen today from the road. This might have been a residence - maybe someday someone can fill us in! 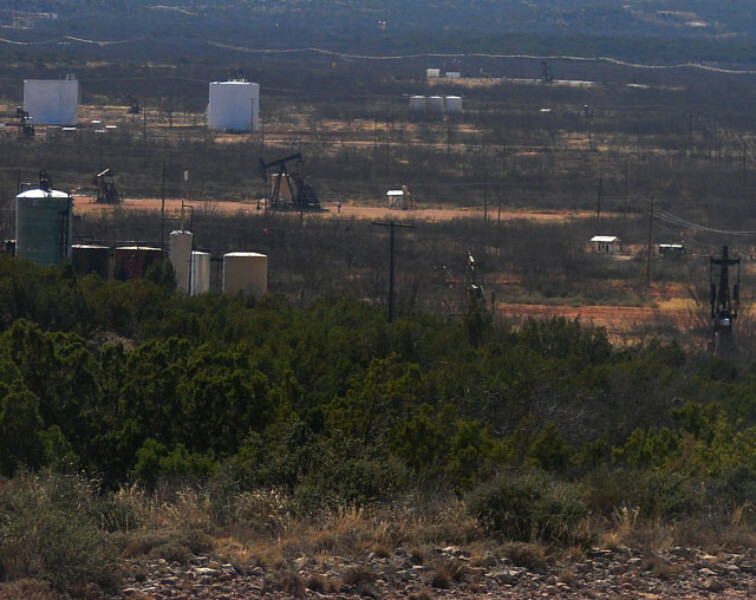 Old oil field batteries can be spotted from the road. 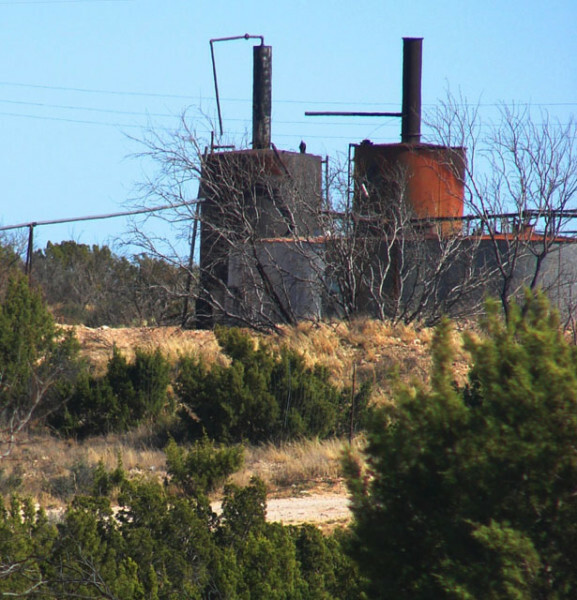 The draw of Bull Creek, a tributary of Beal's Creek is filled with tank batteries, pumpjacks, and oilfield roads. Looking north from the above view, Signal Peak is seen from the south. Signal Peak is a famous old landmark in the region that guided Indian, Spanish, and American travelers to the "big spring" for which the town was named. 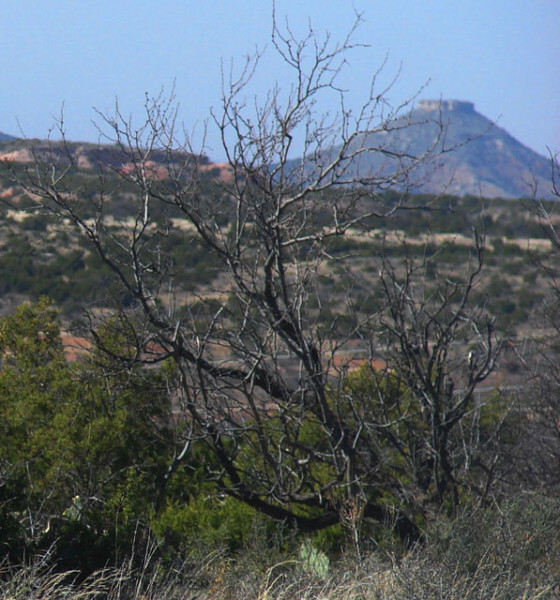 Mustang Draw crosses Farm to Market road 818 southwest of Big Spring. North of the crossing is the large playa "Roberts Lake." For years this crossing has held water - a large amount on the south side of the road, and pools connected by an intermittent creek on the north side. This is the edge of the big pool. The big pool fills about 50 acres. The eastern slope has a few junipers. 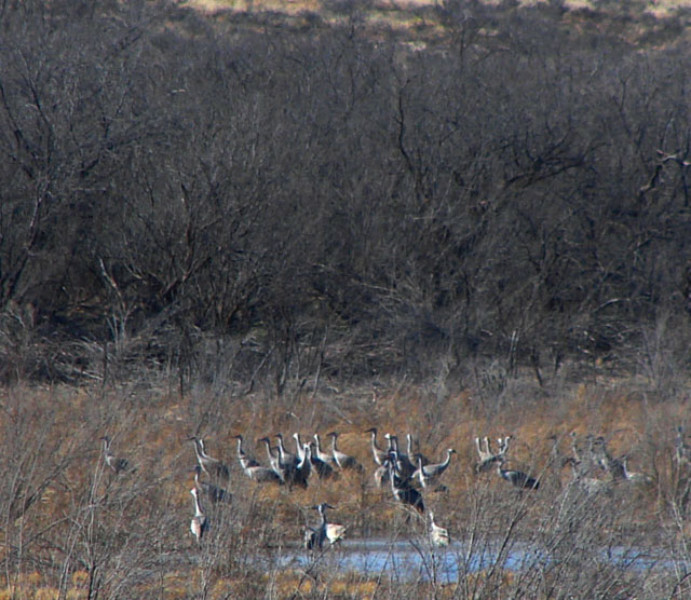 Looking to the north, mesquites block the view, but through them, large gray birds were visible. 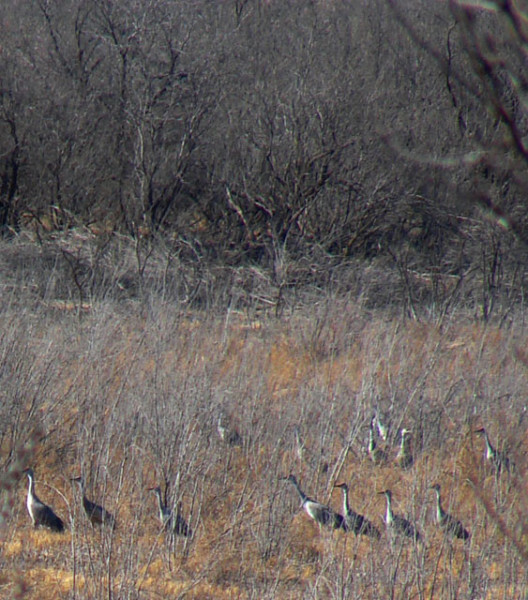 With a telephoto lens, the birds are revealed to be wintering Sandhill Cranes. The big birds are wary - noises to the southwest caught their attention and they all turned to see the source of the sounds. FM 818 turns north at Lomax, but Howard County road 3 turns south and at the Glasscock county line becomes county road 415. 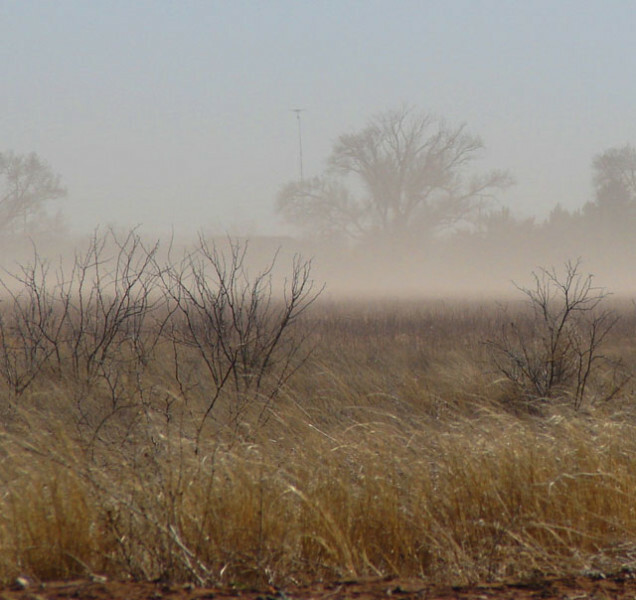 In late February and March, winds often are above 20 mph and the soil of the farms starts blowing. Dust becomes a ground fog obscuring the views of the farm houses. Some of the farms have center pivot irrigation systems. 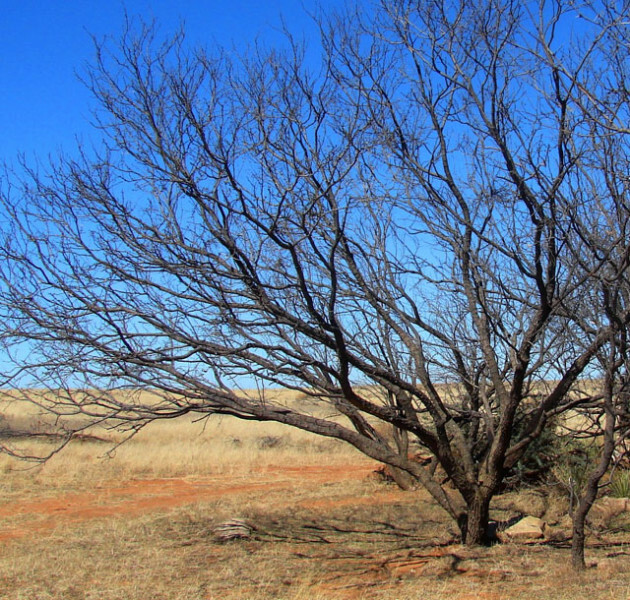 Most of the fields grow cotton or sorghum in the summer, but in the winter are almost bare. 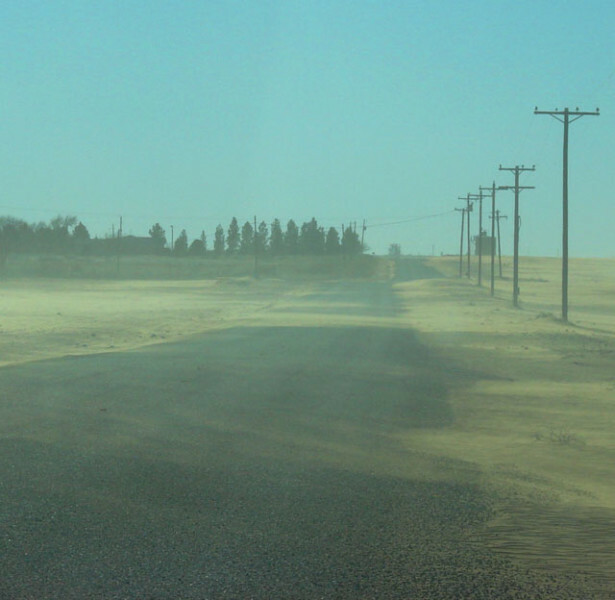 Further along a paved stretch of the road, the dust curls across the road as the wind blows. 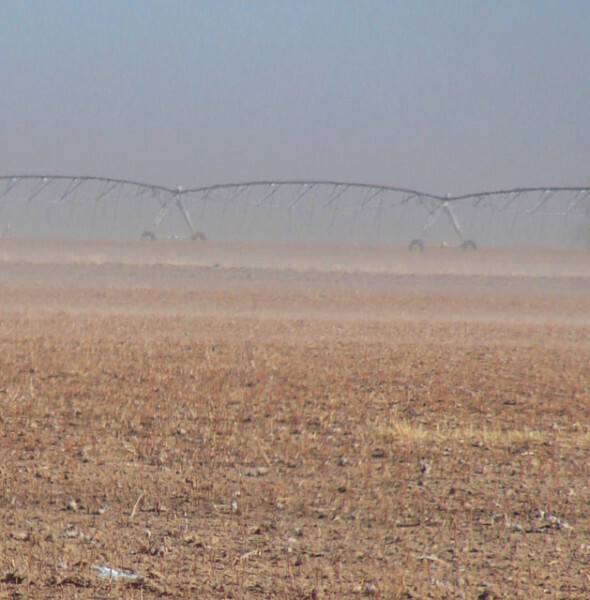 The stubble in the field does not slow the blowing dust. 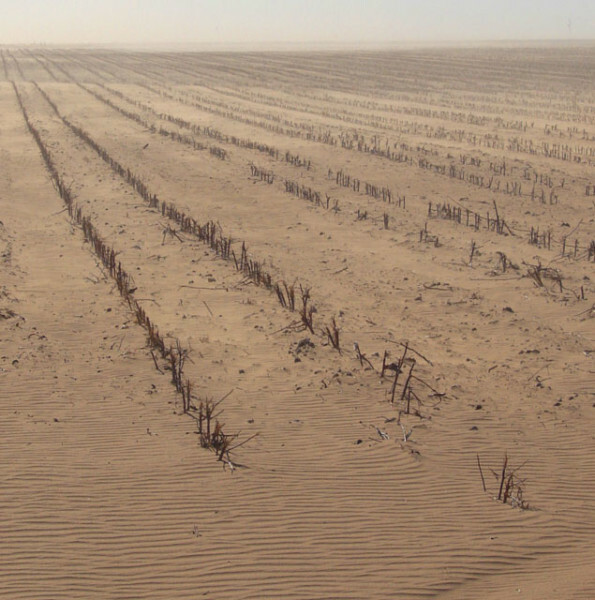 Farmers will deep plow their fields to bring heavier soil to the surface and lessen the dust. 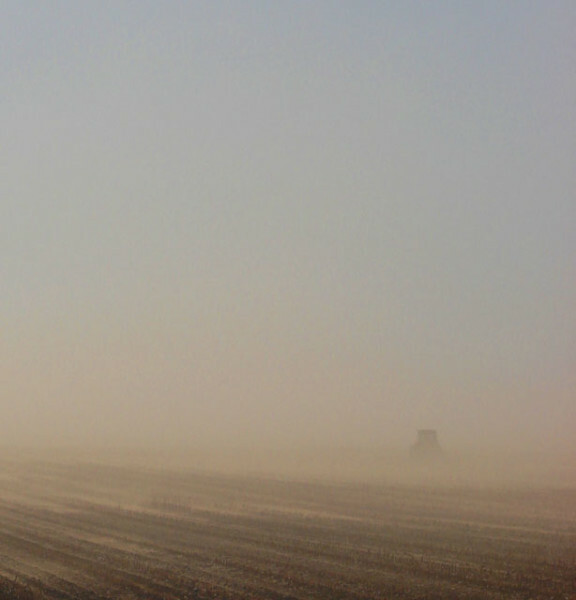 On a windy day, the tractors make the dust worse. 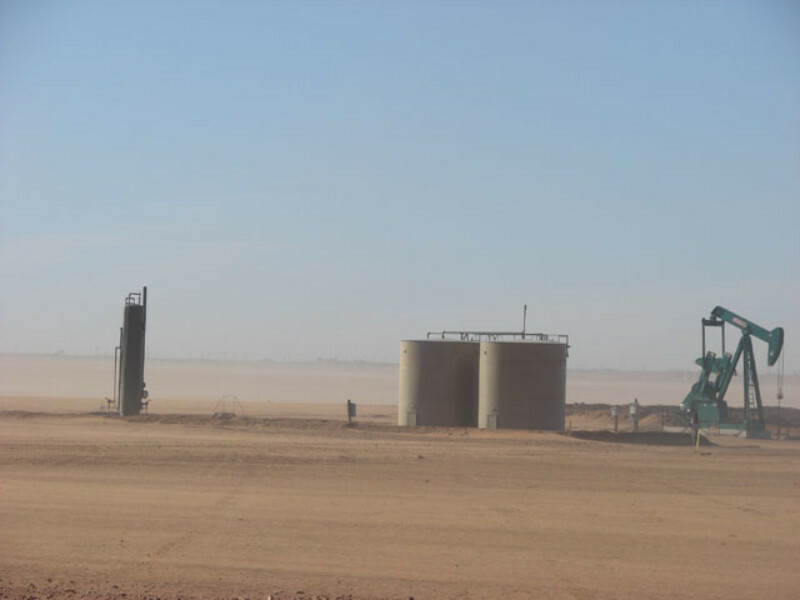 This field has not been deep plowed yet, and the oil battery is like an island in a sea of sand. 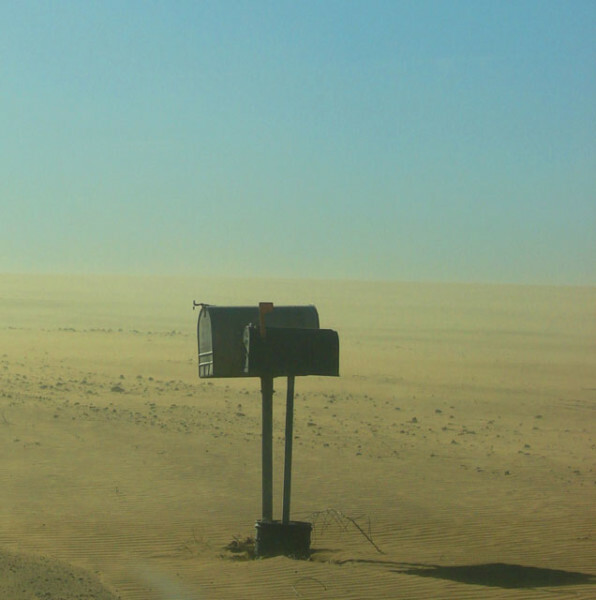 The next time you get mail out of your mailbox, remember this photograph and be glad you don't have to eat dust just to get mail.